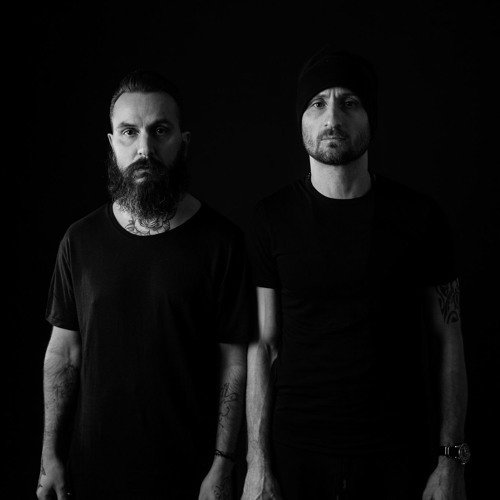 Booking Request dandi@italobusiness.com giorgio@youth-am.com The Dandi & Ugo duo is born from a strong friendship and a great passion for techno music. It is their native land (Romagna) that takes them to frequent and,successively, perform in Rimini and Riccione's clubs in their most magic period (beginning of 90s). After a decade of DJ sets in clubs such as, among others,Echoes Liz Club / Cocorico' / Pascia' / Ecu / Peter pan / Classic Club / Madame Butterfly, they decide to switch to production thus starting a newadventure that takes them to realize records, initially with prestigious Italian labels ( Re>>Vox records / Stereo Seven Plus Records ) and next european labels ( Lasergun / Great Stuff / LuxaFlex records / Art minimal Berlin / Sammeplant z / Immigrant ) with a big success with creations from artists such as Rchie Hawt in/Len Faki Mihalis Safras / Florian Meindl / Marc Houle / Gregor Tresher / Someone Else / Xpansul / John Aquaviva / Mart in Eyerer / But ch / Mauro Picot t o / Markant onio / Joseph Capriati / Claudio Coccoluto / and many others. In 2006, together with Alessandro Piatto ( N.O.I.A / Klein & Mbo) t hey decide t o open t heir own label. This starts the birth of ITALO BUSINESS RECORDS, a project divided into 4 parts: vinyl, net label, digital download and booking agency. The discovery of new artists worldwide, and the support of internationally known DJs , makes of this label a referring point for the Techno movement."